Ever wondered what the ABC National Radio presenters love to read? 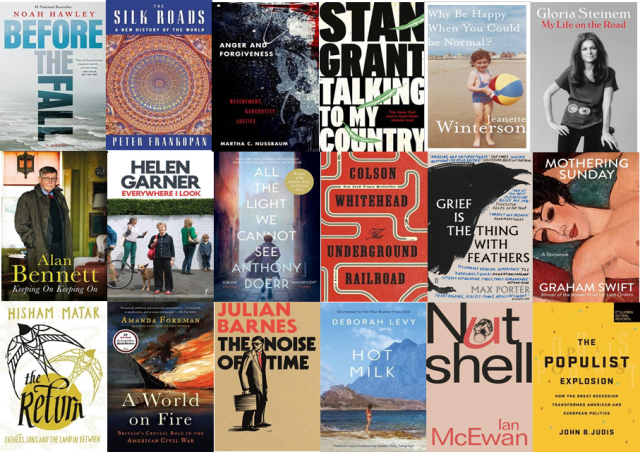 Why not check out their favourite reads of the year. For the full review of the book from each presenter click here. Click on the title below to reserve your copy to read over Summer. This entry was posted in Australian Authors, Biographies, Book Reviews, Non Fiction, Reading Lists, Recommended Reading by Parra Reader. Bookmark the permalink.